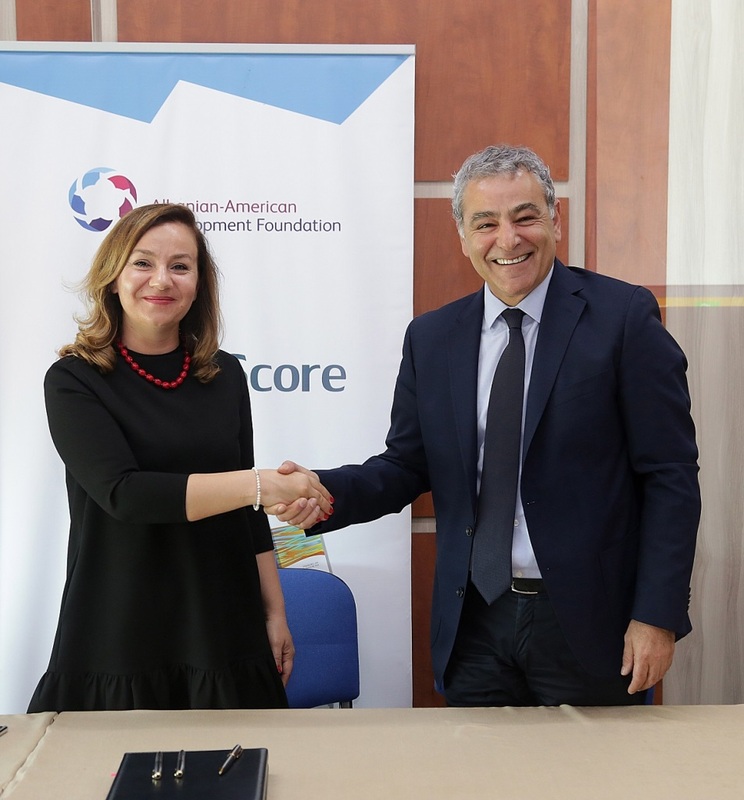 In the framework of CleanScore Project, the AADF represented by the Co-CEO’s Mr. Aleksandër Sarapuli and Mr. Martin Mata and the “Aleksandër Moisiu” University of Durrës, represented by the Rector Prof. Dr. Kseanela Sotirofski, signed the Memorandum of Understanding. This Memorandum aims to implement automated test scoring that will improve transparency and quality in student evaluation, it will also improve the quality of teaching by replacing local textbooks with international versions. This project is fully founded by AADF with $ 400,000 and is being piloted in public and private universities where up to now over 20,000 students have been tested in about 50 different subjects. AADF is working on the translation in Albanian of four different international textbooks in the field of economics that in the future will be available to the students and thus ensuring qualitative and contemporary textbooks.